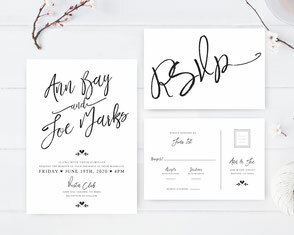 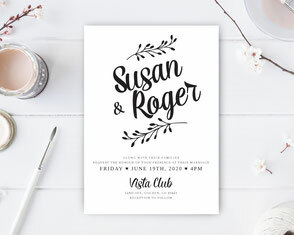 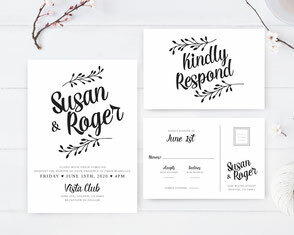 Before you walk down the aisle with your one true love, inform your family and close friends they’re officially invited with our Traditional Wedding Invitations. 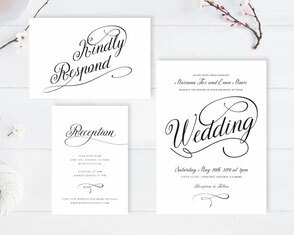 Our invites will elegantly share the details surrounding your wedding and set the tone for the upcoming event. 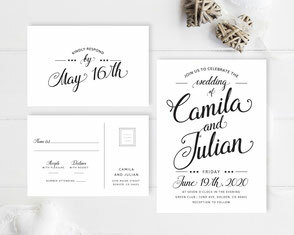 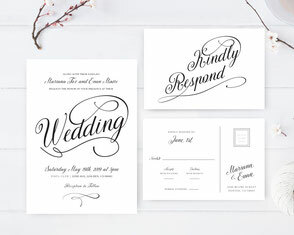 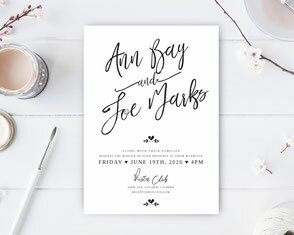 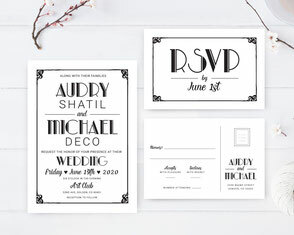 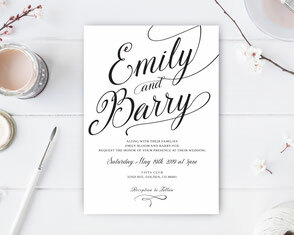 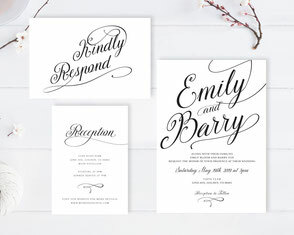 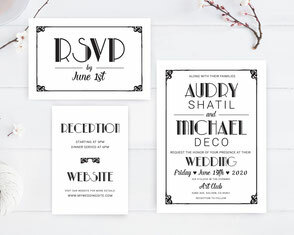 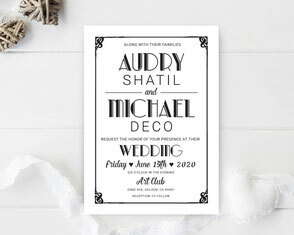 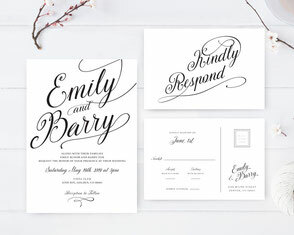 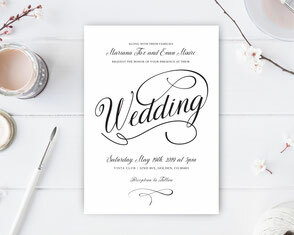 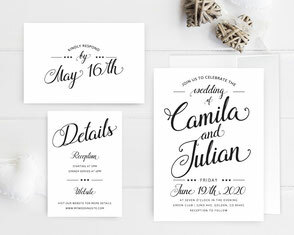 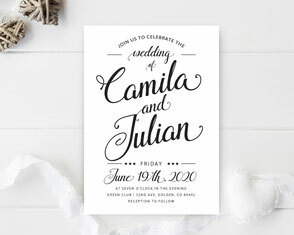 Simply choose from our selection of classic black and white invites to find one that will compliment for your wedding. 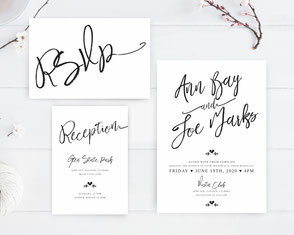 Our cards feature several designs that showcase timeless calligraphy and graphic styles that range from formal to retro and chic. 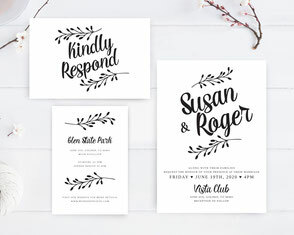 All of our traditional wedding invitation sets are printed on premium cardstock paper include Invitation, R.S.V.P card and Detail card.